Civil society groups across Africa demanded that developed countries fulfil and implement their commitments under the UN climate convention, in order to fairly share a necessary 'emissions budget', and avoid catastrophic climate change. "Warsaw can be the moment the world chooses clean over dirty energy and Africa will be leading in that choice," Girmai, said. 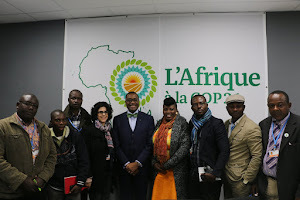 "African people need an international mechanism to address loss and damage from climate change. That's the reality. We see it everyday. Perhaps the rich only see it on television - well they need to turn it on, watch it, learn, and then take responsibility for the suffering their emissions have caused." Robert Chimambo, from Zambia Climate Change Network, said.